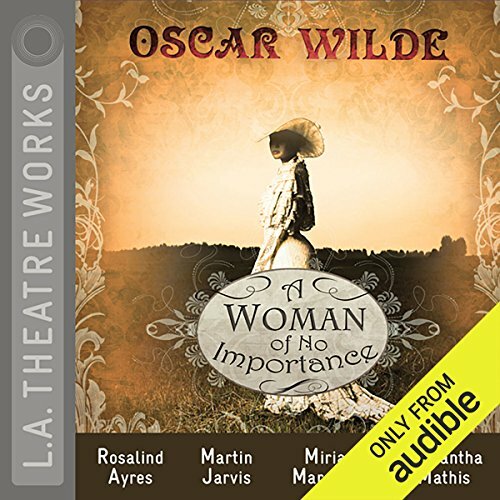 This dramatised version of Oscar WIldes' A Woman of No Importance is stunning. I listened to this three times over enjoying the visions that danced so easily in my head as the performers each carried their part to nth degree of perfection. This play is rich in cultural pearls of wisdom and highlights divide between male and female, between the rich and the poor and working class and it explores the ties that bind people in society and what strengthens and weakens the ties. Love of course triumphs and in a way only the wit and wisdom of Oscar Wilde could produce. This was so easy to listen to and follow. Sometimes plays are hard to follow in audio. After really enjoying The Importance of Being Earnest I was keen to give this audio a try, and while it was good, it wasn't great. It too has long-lost family, mistaken identities and rich people's shenanigans, but it just wasn't as fun. The characters weren't as compelling, and the story wasn't as engaging. The performances weren't as great here either, they FELT like performances rather than like you were listening to actual conversations between the characters. I was also surprised that several of the lines were exactly the same as those found in Earnest - of course, this came earlier and so Wilde must have reused them for Earnest, and they ARE great lines, but I didn't like the repeated use. I wouldn't listen to or read this again.